Marshy ground, swales and meadows, grassy forested banks, spreading along railroad embankments and roadsides. The flowers range from white to rose. 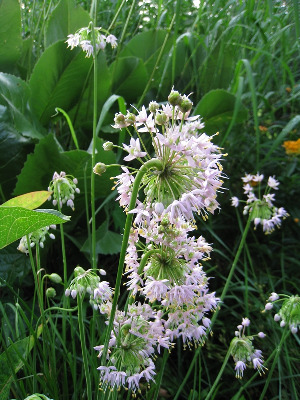 The umbels may tend to appear erect in old fruiting material, but the tip of the scape is still usually bent. 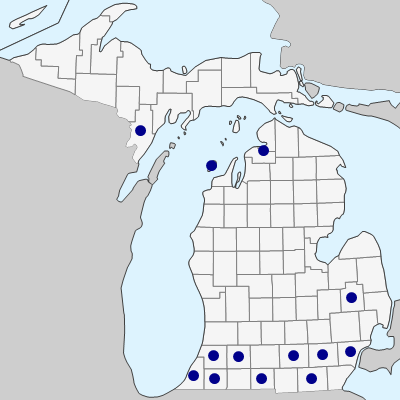 Records from north of the southern portion of the Lower Peninsula are from along roads or railroads (or no habitat specified), and they may be introductions. MICHIGAN FLORA ONLINE. A. A. Reznicek, E. G. Voss, & B. S. Walters. February 2011. University of Michigan. Web. April 26, 2019. https://michiganflora.net/species.aspx?id=39.